First of all, don't despair about the 2015 Dietary Guidelines for Americans -- they're still coming! According to what I learned this week, the Dietary Guidelines are almost done and they will definitely be released in December. Oh! 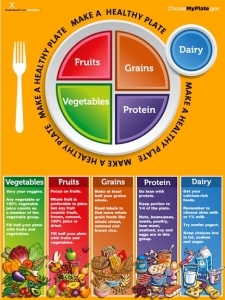 And the MyPlate graphic (and MyPlate in general) will not change at that time. 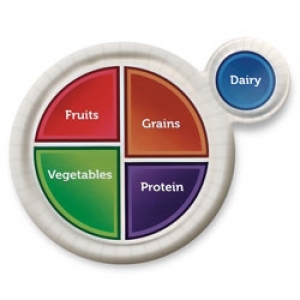 Well, the team used focus groups to determine that MyPlate is an effective, simple-to-understand graphic. 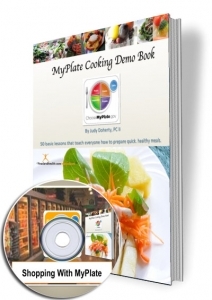 They were also impressed by how easy MyPlate is to use. 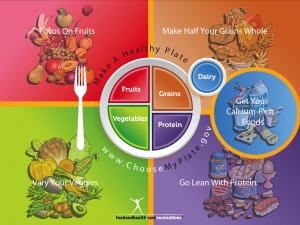 It turns out that MyPlate is really reaching its goals -- it does in fact offer an approach to a healthy eating style, telling us what to eat and how much to eat. 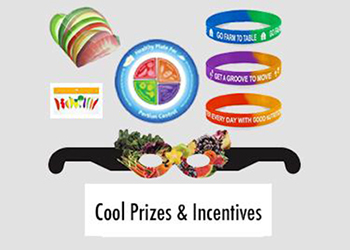 We can then successfully use MyPlate to educate, inspire, and motivate our clients. 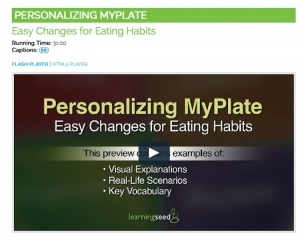 Thanks to these successes, MyPlate isn't getting a makeover just yet. That said, its website did get a facelift. Now it has a more modern design with increased interactivity. It was also updated so that it can accommodate mobile access. 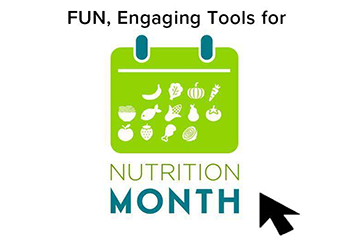 Those updates were getting more necessary by the moment -- did you know that www.choosemyplate.gov has gotten over 72 million page views in 2015 alone? 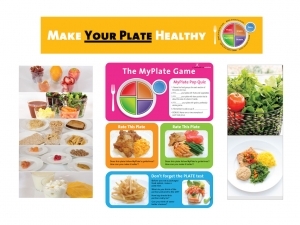 MyPlate also got a new slogan -- "MyPlate, My Wins." 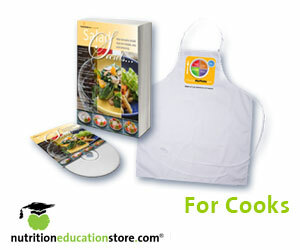 Oh, and the team has added high school lesson plans to MyPlate and its SuperTracker tool. We learned a lot about SuperTracker at the conference this week! SuperTracker is an interactive resource that can help people "plan, analyze, and track [...] diet and physical activity." 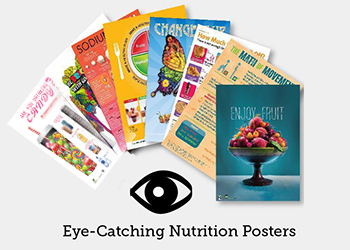 It's super popular, with advanced capabilities -- like an array of tools that health professionals can use to create and administer teams who are competing to reach health and weight loss goals. Check out the new group resources to learn how to create a group that will work together to track their progress and achieve health goals. Did I mention that the site is mobile and tablet friendly too? This year, the team has also added the National Institutes of Health's body weight planner to the SuperTracker's long list of resources. Seriously, you've just gotta check out SuperTracker! Another big takeaway from this meeting was that "a nutrition mindset is individualized." Consumers all have their own dos and don’ts and their own rules for eating. We need to offer them help and guidance within that structure. Well, that's all for now! 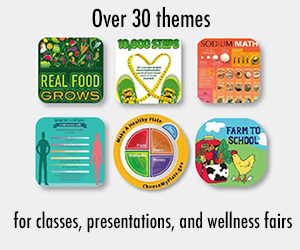 I have lots more to share about MyPlate, so keep an eye on this space! 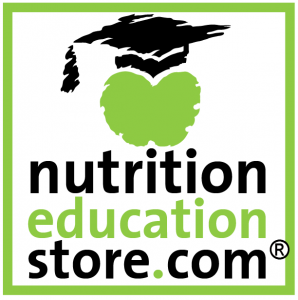 Remember, there are tons of great MyPlate resources in the Nutrition Education Store!